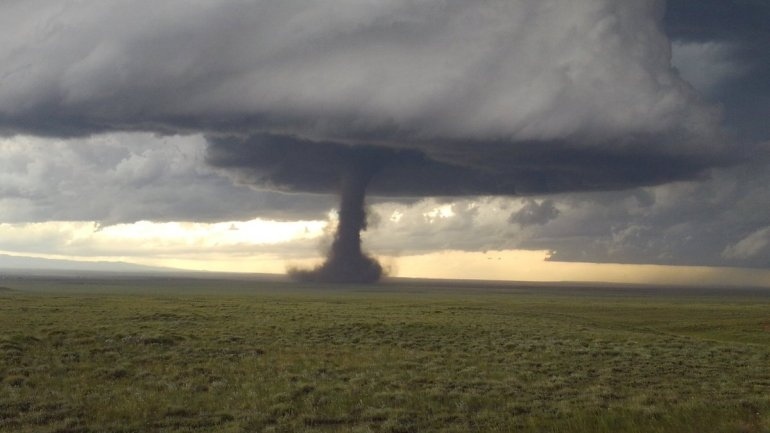 AKIPRESS.COM - A powerful tornado touched down north of Laramie, Wyoming, on Wednesday afternoon, damaging structures and wowing storm chasers and residents, who captured photos and videos of it, US media report. The National Weather Service noticed it was forming just two minutes before the first reported touch down. This tornado was rated an EF3 with winds of around 150 mph. Grass was scoured out of the ground in a swath about a third of a mile wide. Damage to some structures, power poles, power lines and fences was reported, but there were no injuries, according to Albany County Emergency Management.